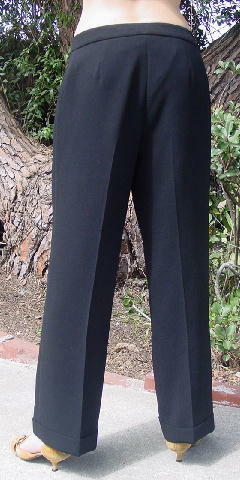 These black 100% polyester pants have a full black 100% polyester lining. 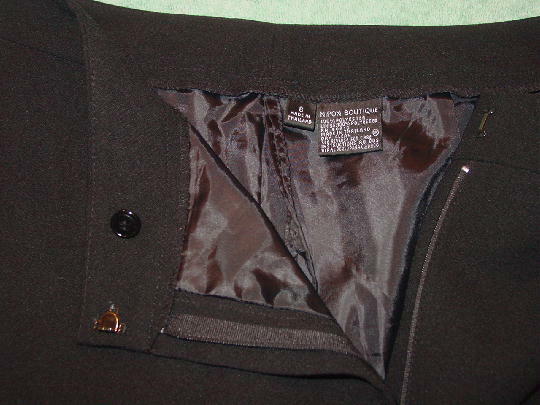 They have a 5 1/4" long zipper fly and a hidden large hook closure on the 1 5/8" wide waistband. The tag says size 8, but they fit like a size 12. 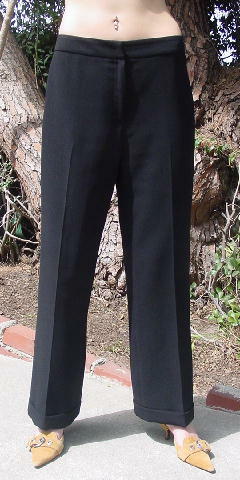 The bottom pant legs have 1 5/8" wide cuffs. The pants are by Nipon Boutique.